We are pleased to announce that NUMAP-FOAM School 2017 will be held at The Faculty of Mechanical Engineering and Naval Architecture in Zagreb from 21st August to 1st September 2017. 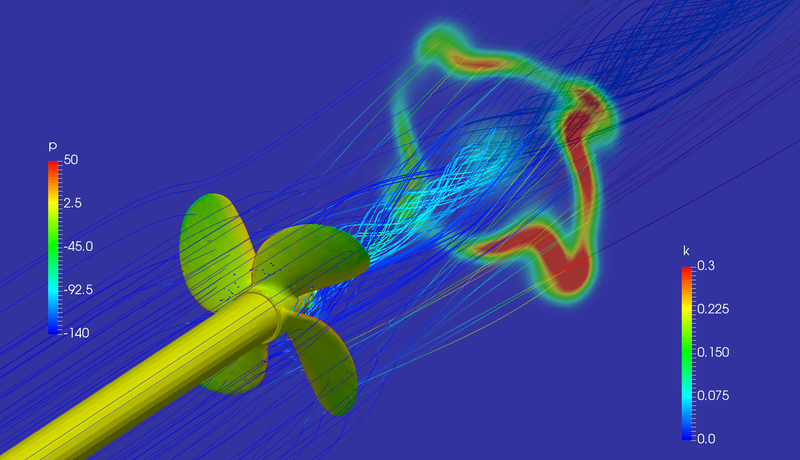 The 12th edition of the School on Numerical Modelling of Coupled Problems in Applied Physics with OpenFOAM (NUMAP-FOAM) is opened to graduate students, young researchers and industrial researchers. The chairs are Professor Hrvoje Jasak and Professor Željko Tuković, supported by young researchers from The University of Zagreb. The School aims to provide tuition at expert level for a small and selected group of students and researchers in academia and industry. The idea of the NUMAP-FOAM School is to expand the physical modelling knowledge, numerics and programming skills of attendees using OpenFOAM in their research through direct supervision and one-to-one project work. Lectures on chosen topics of mathematical and numerical modelling pertinent to coupled problems in engineering and applied physics will be delivered in addition. To ensure quality of work and supervision, the number of places is strictly limited. Read what NUMAP alumni say about their experience at NUMAP-FOAM School. The 2017 edition NUMAP-FOAM shall take place between Monday 21st August 2017 and Friday 1st September 2017, inclusive (10 working days). The School shall be held at the Faculty of Mechanical Engineering and Naval Architecture, University of Zagreb, Ivana Lučića 5, Zagreb, Croatia, (Google Maps). PhD, graduate and undergraduate students can be awarded 4 ECTS points for successfully completing the school. To apply, please write a one-page description of the project you wish to work on, with current problems and goals to be achieved at the School. Application is open to all students on graduate University courses, as well as young researchers in companies and government organisations with sufficient prior OpenFOAM knowledge. Please note this is NOT an introductory OpenFOAM course: significant understanding of the project and software is a pre-requisite for application. Deadline for application is 1st May 2017. Successful candidates will be informed within three weeks of closing. Attendees to the School should plan to cover their travel and accommodation expenses, ideally bringing a laptop computer with them. A registration fee for the School is EUR 2000 per attendee. For further details and submission of project proposals, please contact prof. Hrvoje Jasak at hrvoje.jasak@fsb.hr. For local organisational details please contact NUMAP-FOAM Secretary Mrs. Silvana Škoko-Gavranović at silvana.skoko-gavranovic@fsb.hr. OPENFOAM® is a registered trade mark of OpenCFD Limited, producer and distributor of the OpenFOAM software.